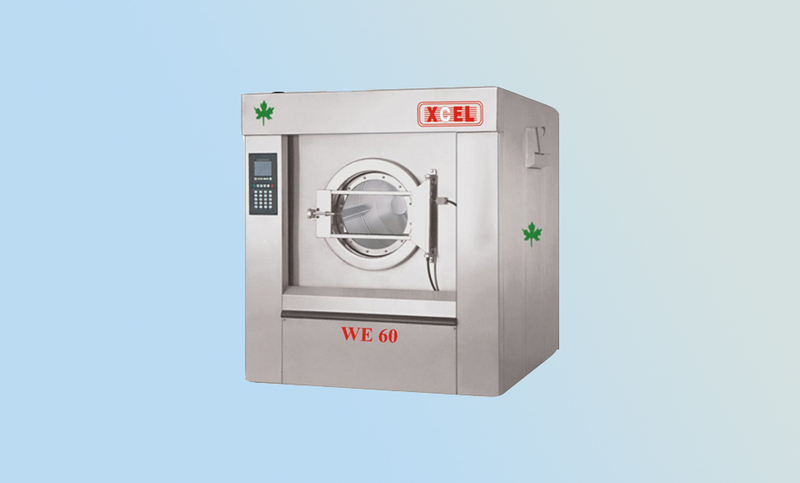 "High Spin Extractor Microprocessor Operated "
The most versatile version fo washer extractor from European associate company. The machine with identical results is good for chemical, enzyme, bleaching & soap washes. Washing with high sin extraction for easier loading & unloading. Mainly stainless steel body & inner parts. Heavy duty coil springs with compatible shockers to absorb the vibrations. Fully automatic operations through LC / Microprocessor. Preset programs gives the flexibility to operate as desired and also to modify the working cycle as needed. Single motor with frequency control device provides adjustable drum speed for various types of washing & reduces power required. Minimum water consumption results in saving energy & reduces operating cost. Comes with auto timing, auto reverse, auto level selection and digital temperature control. Auto operation of water, steam and drain valves, safety devices against single phasing & motor overload. 5 external liquid supply dispensers.